RPS will remain knowledgeable in all aspects of emergency medical services and recognizes that being knowledgeable will develop a level of respect with all the locations we encounter. Knowledgeable managers and supervisors play important roles in making the company’s philosophy work. Always keeping in mind their actions will speak much louder than anything they may say. We appreciate the opportunity to present to you over the next few pages all of the data that demonstrates evidence of our credentials and qualifications. 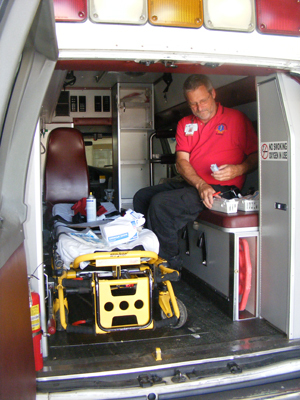 We believe after you have reviewed the material we have assembled on site, you will understand why we assert that Regional Paramedical Services is the best choice to assign the responsibilities of the provision of emergency advanced life support ambulance service to the thousands of people living, working and traveling every day. Regional Paramedical Services, Inc. was established on July 7, 1987. Seeing a need to provide quality care to Walker County, John L. Wills formed, owned and operated the first RPS ambulance service. Beginning in 1987 with a total of two (2) ambulances and eight (8) employees RPS has continued to give impeccable service. Presently, over twenty years of service and expanding into a total of nine (9) counties; RPS has over eighty (80+) ambulances and over six hundred (600+) employees.